When you buy your car insurance you to need to decide whether to insure your car for an agreed value or market value. This is the how insurers determine how much your car is worth, if you need to make a claim. Agreed value is the amount your car is insured for, which has been agreed by you and your insurance company. Your car’s age and condition will affect how much it’s worth. Market value is the amount your car is insured for, which has been valued from the current market, based on car type, condition and number of kilometres. Other factors that might affect the value could be, where you live, how secure your car is parked, and if it has an alarm etc. It’s important to remember that your car’s value will affect how much you pay on your monthly premiums. Market value tends to be less expensive and more common than agreed value. But that doesn’t mean that’s it right for your circumstances or budget. See more about how car insurance is calculated. If you have an older car in good nick, or a standard model without modifications then market value is usually the right choice for you. If you crash your car and it’s a write off, or your car is stolen, you will be given the market value of your car at the time of the incident. Remember the market value of your car when you first bought it, compared to 5 years down the track, is likely to reduce dramatically. Your car’s market value will depend on the current market conditions, and the condition of your car. This might be less than what is on your insurance policy, but the value will still allow you to buy a replacement car, at the same standard as the one you’ve just lost. Market value is closely linked to how much your car could be resold for in the open market. Market value is the cheaper option of the two and you will save money on your monthly premiums with this valuation. But do remember that what you are reimbursed will not include new stamp duty, dealer delivery charges or finance fees. Market value will always give you less than what you paid for the car, but it’s a fair representation of the current market valuation of your car, rather than an outdated one with an agreed value policy. Classic cars in mint condition or cars with modifications with higher value, tend to be more suited to an agreed valuation. If your car is worth more, you’ll want to be confident that the money you’ve spent on your car, you’re likely to get back in the event of an accident or theft. If you do have to make a claim, your car insurer will pay you your initial agreed amount. Remember that all cars depreciate in value. Even if you bought a brand new car one day and wrote it off the next, the car would still have depreciated - like all cars do as soon as they leave the showroom. However much you are paid back it should be sufficient enough amount to buy another car that is worth the same value as the one you have just lost. Now you have a good idea which valuation is right for your pride and joy, you can start to compare car insurance quotes in just 2 minutes. We do not compare all the insurers in the market. Women get cheaper premiums for being safer drivers, Hurrah! 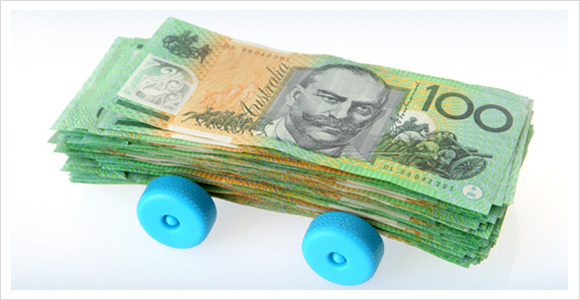 Did you know 14,340 cars were stolen in Australia in the first 3 months of 2013 alone? Until now, a few good ways to reduce your premiums included adding security devices to your car, driving safely to increase your no claims discounts, and owning a standard model vehicle…but t...... Read more.